Double Bubble! 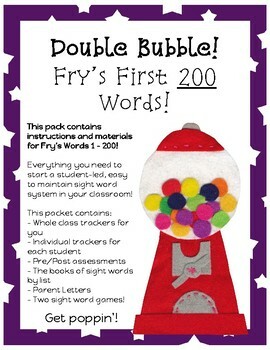 Fry's First 200 Sight Words Tracking Pack! 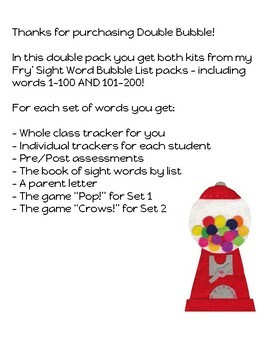 I have on offer a double pack for Fry's Sight Words: 1 - 200! This year my school asked us to concentrate some time on sight word fluency. We put it off for a short while because, honestly, all we received by way of advice was the list of the First 100 words. It seemed like a really daunting task! Finally, I turned to Pinspiration! The bubblegum unit idea came from there, but the materials and system are my creation. We wanted something easy to maintain and student-led. This is what we came up with! This file is contains both files for words 1-100 and 101-200! 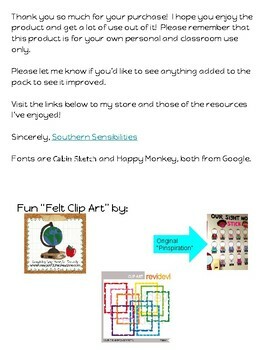 Purchase here for a TWO DOLLAR discount or get the packs separately in my store, depending on your needs. Thank you so much for your interest! Enjoy!